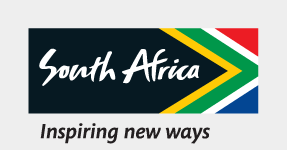 TThis function is responsible for ensuring that SA Tourism effectively deliver on its role. The Insights and Analytics function monitors and evaluate the performance of the tourism sector. The Function is entrusted to cull-out market insights, through high-quality research, inform SA Tourism’s strategic choices to invest its resources, to monitor and evaluate growth and performance, and to set growth targets. The unit effectively serves several internal stakeholders, (the executive committee, products, marketing) in a quality manner and aims to adopt bi-directional flow of information.